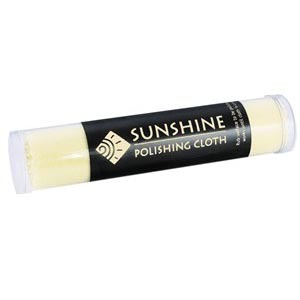 Sunshine® Polishing Cloths & Display Cases for Individuals, Businesses and Retail Stores. 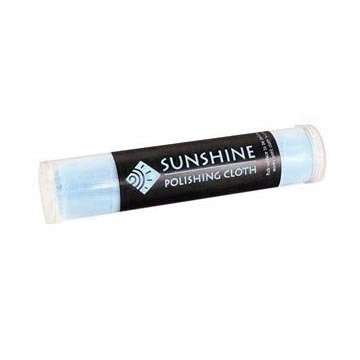 Sunshine Polishing Cloths are non-staining and easy-to-use cloths to remove tarnish from sterling silver, gold, brass, copper, glass, jewelry, bracelets, necklaces, earrings, bells, badges, mirrors and most other surfaces, leaving a deep, long-lasting luster. 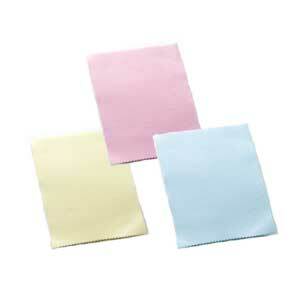 The blue cloths are the softest, the yellow are the original and the pink are made for professional jewelers. Be sure the item to be cleaned is free from dust and or other abrasives. Then very gently rub the surface to be polished with your yellow or blue sunshine cloth. 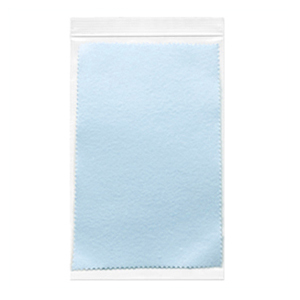 Each cloth is impregnated with special chemical cleansing agents and non-scratching (blue and yellow) & scratching (pink) micro-abrasives. 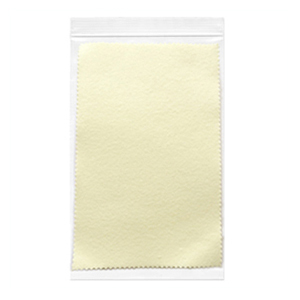 These polishing cloths come in 3 colors (yellow, blue and pink), 3 sizes (small, medium, large) and have 3 different applications (original, soft, satin). 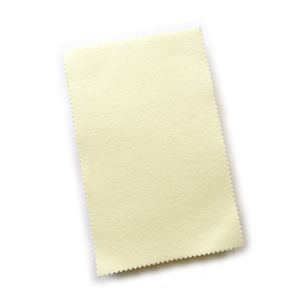 The Yellow (original) Sunshine® Polishing Cloth, Blue Sunshine® soft Polishing Cloth (which is softer than the yellow) and Pink Sunshine® satin Finishing & Polishing Cloth (which is 2-sides and leaves a "satin" finish). 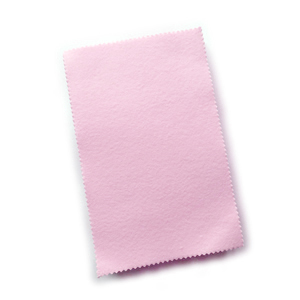 We offer a 3 3/4" x 5" (medium size) samples of each of our pink, blue and yellow polishing cloths. You just pay shipping and handling. To learn about the differences between the Yellow, Pink and Blue Sunshine® Polishing Cloths and directions on how to use them, click here for FAQ.